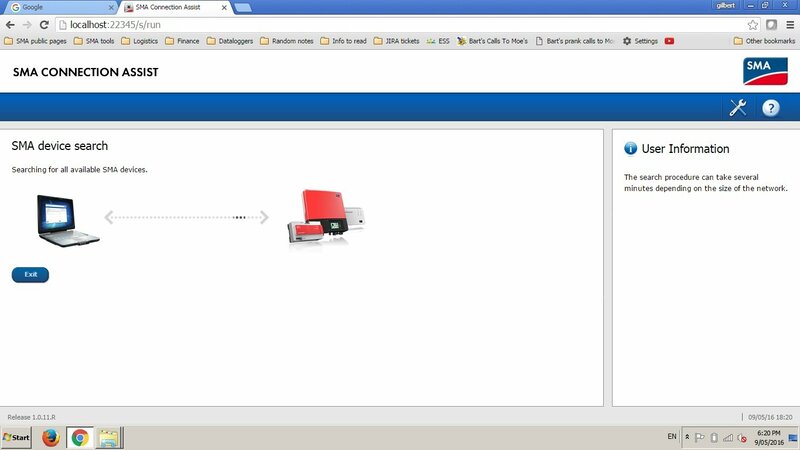 When it’s not possible to locate an SMA inverter using Sunny Explorer or other SMA communication devices, SMA CONNECTION ASSIST is the perfect tool to use. SMA Connection Assist can be used to change the inverter’s network setting using Speedwire connection. As every installation site has its own level of network security, many high-level network securities require a static IP address setup so that the IP address of the inverter doesn’t come into conflict with the IP address of the devices used by the client on a daily basis. What is SMA Connection Assist? 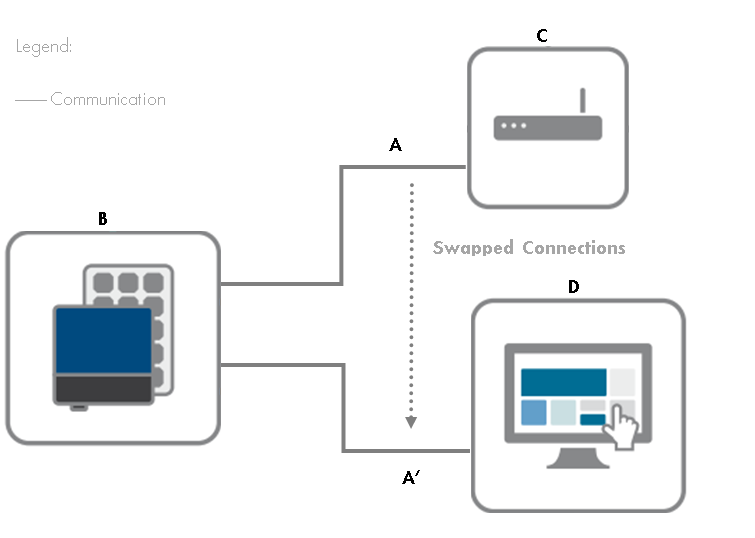 SMA Connection Assist is a network commissioning tool and is the ideal solution for circumstances when automatic network configuration is not possible and manual commissioning is required. With the SMA Connection Assist, SMA devices can be integrated into any local area or home network with only a few clicks. The commissioning tool assists users with all necessary adjustments by analysing local conditions and recommending manual configuration options. All SMA communication devices are Dynamic Host Configuration Protocol (DHCP) enabled which means when connected to the network router of the customer, then the DHCP-enabled router will assign a Dynamic IP address to the device. For sites where the router has a firewall security set-up for privacy reasons, then a static IP address is recommended. This would ensure that the router’s firewall doesn’t block the inverter’s IP address. The communication device used in conjunction with SMA Connection Assist is the SMA Webconnect module. This device is either built-in or optional for most of the latest models of SMA grid-tied inverters such as the Sunny Boy and Sunny Tripower inverters. The network settings on this device can be changed by using the SMA Connection Assist. Similar to other SMA communication devices, the SMA Webconnect module is DHCP-enabled and so, the router assigns an IP address to the inverter once it is connected via ethernet cable. In instances where the router has a firewall which blocks the inverter IP address, the following steps can be taken to set a static IP address on the inverter. (1) Create a static IP address using the router’s interface which will not be blocked by the firewall and will not be used for other devices. For example, create 192.168.1.123 for a case where the gateway IP of the route is 192.168.1.1 (Refer to a router’s manual to understand how to create a static IP on that specific router). (3) Connect your PC directly to your inverter temporarily, using the ethernet cable (CAT5 or CAT6 cable) between inverter and router. (4) After the ethernet cable connection is setup, run the SMA Connection Assist and search for the devices in the local Speedwire network. The information on the right-hand side of the interface of SMA Connection Assist provides guidance regarding each step of the process. 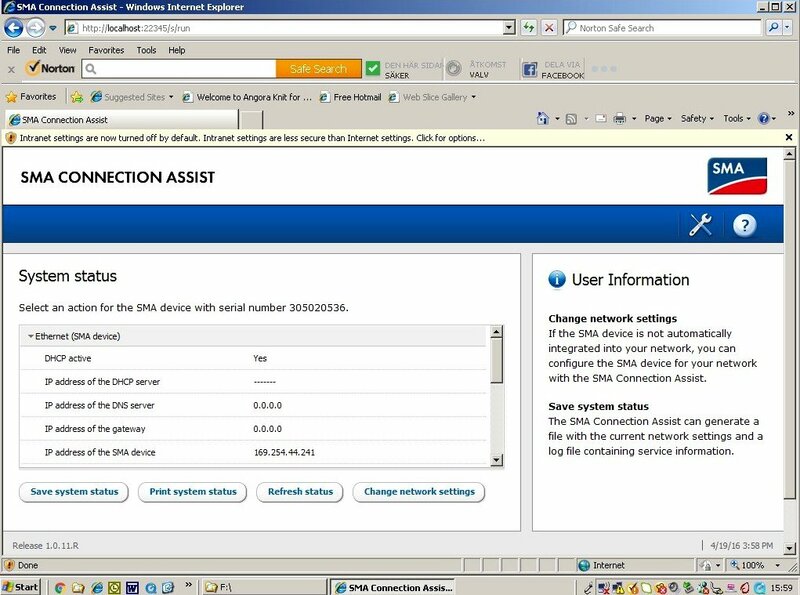 (5) Using SMA Connection Assist, under the tab ‘Change network settings’, you are able to assign a static IP address to the inverter that you have created in the router’s interface. (6) Eventually after transfer of the settings have initialised, the Webconnect module will promptly change to a static IP address which will allow the inverter to communicate under a secured network through firewall. SMA Connection Assist can also provide assistance for other troubleshooting issues. For example, if you have forgotten the static IP address of an inverter and you are no longer able to detect the device on Sunny Portal or Sunny Explorer, SMA Connection Assist is able to detect the device and change the settings from static IP address to Dynamic IP address. This allows the router to assign a new IP address to the inverter to connect to the internet. After this process, Sunny Explorer is able to detect the device. SMA Connection Assist is an easy-to-use, user-friendly and flexible tool to configure a static IP address on SMA inverters, depending on a site’s specific requirements. This tool works for SMA’s latest inverter models that have a built-in SMA Webconnect module connected via Speedwire network to a computer. What makes SMA unique in the PV industry is that it not only builds world-class leading inverters, but full solutions to best ensure installers and customers get the most out of their renewable energy system. Along with the range of communication devices offered with inverters, SMA also provide technical support through complimentary troubleshooting software such as SMA Connection Assist. If you need a solar solution, you can be sure to achieve it using SMA’s suite of solutions. My SMA inverter has reset its subnet mask and IP address after a grid failure. Connection assistant can not find it, even connected directly to the computer. Is there a way to change the settings on the inverter itself? How to connect two different inverters to sunny portal with a switcher connected to a router? If you want to monitor both units separately and you don´t have to consider power limitation control etc., please assign different passwords for both devices. Afterwards, you should be able to create two different pv systems at Sunny Portal using the Sunny Portal Assistant. Please do not hesitate to contact our Service Line (+49 561 9522-2499) if you have further questions. I am looking for an option to define IP address of the Inverter on LCS tool. It usually detects in same network and same vlan. But what if i want to connect it from vpn. Is there any options or alternate ? the LCS Tool is for setting up the Inverter Manager for STP60 only. The inverter network is separated and the inverters are getting IP addresses only from Lan port 2 of the Inverter Manager. If you are using other SMA inverters, please use the SMA Connection Assist or directly the Web-interface of the inverters to assign fixed IP addresses. We regret to inform you that the IP address of the inverters cannot be adjusted. Please do not hesitate to contact us again if you have further questions. How can I reset the settings to default for Sma sunny tripower stp20000tl-30. unfortunately we can’t attach pictures in the comments. I will send you a screenshot via e-mail, that may help to reset your inverter down to default factory settings. Kindly send me the pictures on how to reset SMA tripower down to default factory settings. please do not hesitate to contact our Service Line. Our colleagues will help you. We are not able to help you without having any information about your system. Please check your user guide or contact your installer. What to do when you’re unable to add your pv to the portal because it says “unable to find …”. Both IDs are correctly entered.. Please contact your Installer or an IT expert for help. If they can not help you feel free to sign in on our Online Service Center. how do I configure my IP address? I want to connect to inverter manager with LCS Tool over a router. Which port can I add my router (port forwarding) or other solution. because I don’t enter an IP number for connecting inverter manager. Maybe, LCS tool is using connect İnverter manager over ports or protocol. Can you explane us, thank you. 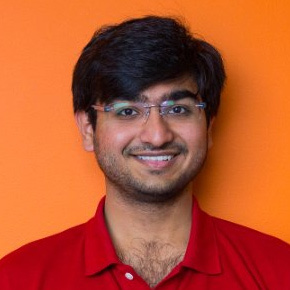 Am unable to open the Picture that you posted for resetting Sunny Tripower down to default settings.Can you send it via email “mugachia@gmail.com”. I woud like to change the IP-Adress (WLAN) form my Sunny Boy 1.5-40-VL (Software: 2.5.1.R) Also with the tool SMA-Connection-Assist it looks good, but it dosen´t work. When ist the change (new) IP on WLAN working ? Must i wait or swich annything on / off ? Hello, how can i reset a “Inverter Manager” to factory default or recommissioning ? Please check the installation manual. Hi, I have SMA Cluster Controller using 36 STP-50 inverters connecting by speed-wire. one of inverters is not detected by Cluster Controller. I guess I should change this inverter Installer password. But I can not log in to it by web user interface because of lacking its password. please help me. Can I reset it to factory network setting? Sorry to hear that. Please check the user manual or contact our Online Service Center. Hello, I am trying to reach the inverter manager via OPEN VPN connection. Is it possible to connect LCS Tool remotly? Sorry, unfortunately we overlooked to answer your request. In case, you still need any help, please contact our colleagues from the Online Service Center to get support.